The nation’s growing opioid epidemic is presenting serious workplace challenges. 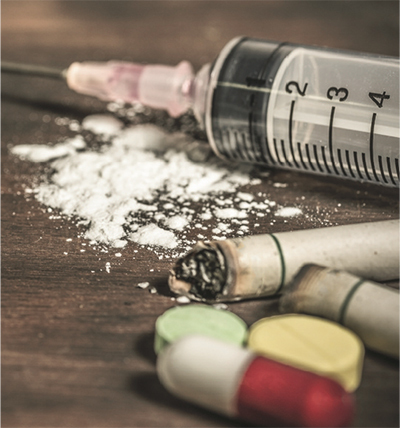 This epidemic involves the use of prescription opioid (pain) medications and illicit drugs, including heroin and illegally manufactured fentanyl. A survey recently released by the National Safety Council reveals that more than 70 percent of workplaces feel the negative effects of opioid abuse. Nearly 40 percent of employers surveyed said that employees are missing work due to abuse of painkillers, with roughly the same percentage reporting employee abuse of the drugs on the job. And, opioid misuse impacts much more than workplace performance: Overdoses killed more than 64,000 Americans in 2016, an increase of 21 percent over 2015, according to federal officials. Despite the prevalence of substance use and addiction in businesses across the country, only a small percentage of those with opioid or other substance-use disorders ask for help or receive it. That’s costing employers about $10 billion annually due to absenteeism, according the American Society of Addiction Medicine. 1) Create a nonstigmatizing workplace. One way to influence more people to seek help is to convince them that getting treatment is the smartest thing to do. By talking about addiction like any other disease, employers can silence the stigma and allow employees to realize that it is okay to ask for help. It’s equally critical that owners and managers send the message that their workplace is a safe place, and that they are here to help. 2) Equip staff to recognize the signs of addiction. It’s important that management and staff be trained on the early signs of opioid and substance addiction—irritability, poor concentration and declining performance—so that they can intervene before the situation deteriorates. Train managers to address performance issues, because that often opens up the dialog to talk about sensitive matters. 3) Offer support to employees and family members. Just as an employer would with an employee who has a medical condition such as cancer or heart disease, offer nonjudgmental support to employees with a substance-use disorder. Remember, employees who have family members struggling with substance addiction suffer at work, too. Consider providing an employee assistance program (EAP), which can be an effective first step for employees and their dependents to initiate support for nonmedical prescription drug problems, and can offer counseling and referral services; conduct substance abuse evaluations or connect an employee to a qualified substance-abuse professional. 4) Help employees access treatment. Ensure that employees have access to quality treatment for substance addiction. Consult with your health-plan provider about a comprehensive plan that covers inpatient and outpatient services. Employees with opioid addiction often benefit from medication-assisted treatment (MAT), which reduces the cravings for opioids and allows employees to work while in treatment. It’s important to remember, stresses Happ, that employees struggling with opioid misuse or substance addiction are not weak or morally corrupt. Drug addiction is a disease and needs to be treated and talked about like any other disease—with compassion and quality care.